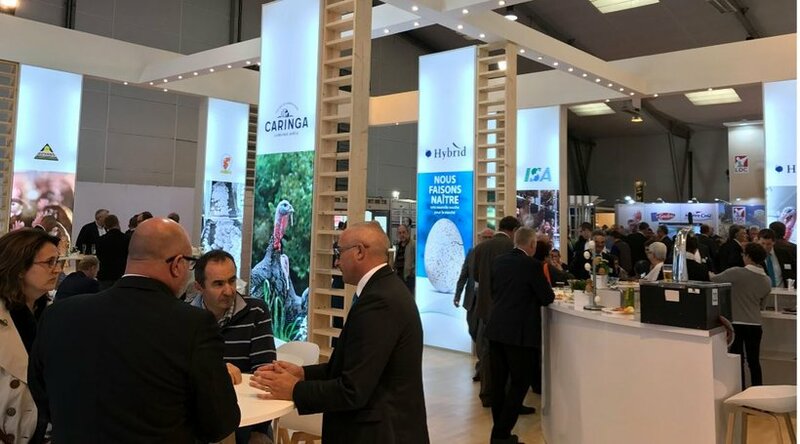 At this year’s SPACE trade show in Rennes-France, Hendrix Genetics has launched several new product solutions to meet the changing demands of the French market in poultry and swine. With the Hybrid Optima, ISA Medium, Caringa Nimba and the Hypor Libra Star, Hendrix Genetics is showing the strength of its R&D activities. The markets of today are constantly changing. The targets in growing performance, carcass quality and weight are shifting, adapting to the changing demands of consumers, growers and processors. With the Hybrid Optima Hendrix Genetics has introduced a new strain that has been demonstrating its added value from day one. The recently announced, the Hypor Libra* can increase pork production and decrease your costs. Introducing the world’s most ‘prolificient’ sow—she is both prolific and efficient and brings you a higher income while lowering your expenses. Hypor Libra* is the result of top genetics, state-of-the-art technology, and a focus on increasing total-system-profitability. The French egg market is changing from a focus on egg mass to egg numbers and size. Hendrix Genetics has introduced the perfect solution to accommodate this changing demand with the ISA Medium. This new product has already made its mark in other parts of the world. ISA Medium is the latest addition to the layer portfolio of Hendrix Genetics in France. The first field results in France show it is a clear winner in egg quality, robustness and laying persistency. Announced last year, the Caringa Nimba is still relatively new to the market. Hendrix Genetics has stepped up to offer the market an alternative solution for guinea fowl. Right from the start, the new Caringa Nimba has proven to be a solid solution. Guinea fowl is a respected part of French cuisine and is attracting more and more interest internationally. Through our global network, we aim to bring this fantastic culinary experience to more and more consumers around the world.